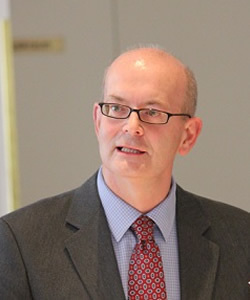 Mr O’Mahony – Reader in the History of Christianity, Heythrop College, University of London between 1999-2018 and Director for the Centre for Eastern Christianity since 2009 – 2018. He will hold the Sir Daniel & Countess Bernardine Murphy Donohue Chair in Eastern Catholic Theology in 2018 at the Pontifical Oriental Institute in Rome. Research Interests include modern history of Eastern Christianity; Ecumenical dialogue between Eastern and Western churches; Christian-Muslim-Jewish relations; and the religious and political history of Jerusalem. He has published widely in these areas including in The Cambridge History of Christianity; The International Journal for the Study of the Christian Church; Journal of Eastern Christian Studies, New Blackfriars and The Downside Review. He is ecumenically engaged in the relations between Eastern and Western churches including The Catholic-Orthodox Consultation under the Chairmanship of Archbishop Bernard Longley and Metropolitan Kallistos Ware; Advisory Board of the Athens Centre Religious Pluralism in the Middle East established as a result of the International Conference on “Religious and Cultural Pluralism and Peaceful Coexistence in the Middle East” (Athens, 18-20/10/2015) organized by the Greek Government and Ministry of Foreign Affairs; on the Board of International Advisers for the Catholic University of Louvain Centre of Eastern and Oriental Christianity (LOCEOC) which was established in 2016. His research interest a general account of Christianity in the modern Middle East. Publications: Catholic Engagement with Islam: Louis Massignon and the Muslim World (ed. 2018); Biography of Cardinal-Patriarch Gabriel Tappouni and the Syriac Catholic Church in the modern Middle East and beyond (?? ).